Abundant sunshine. High 79F. Winds WNW at 5 to 10 mph..
“The Wild Bunch,” a classic 1969 Western film called “one of the greatest films of all time” by the American Film Institute, is screening at Star Hall on Wednesday, April 3. The film’s screening is in conjunction with an author discussion with W. K. (Kip) Stratton, courtesy of the Grand County Public Library, Center for the Book at Utah Humanities and the Utah Film Center. 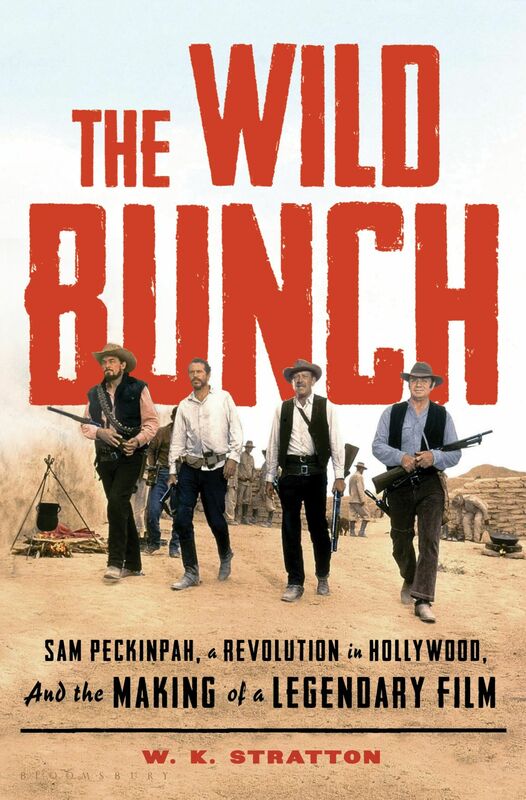 With the 50th anniversary of the “The Wild Bunch” release approaching, Stratton said he began contemplating writing a book about the film’s director, Sam Peckinpah, and the making of the film. Stratton said he first watched the film when he was 13, and even then, the film made a strong impression on him. Later, after the arrival of home videos, he began repeatedly watching Peckinpah films. Stratton signed a contract with his New York agent Bloomsbury, and began working in earnest on the book project five years ago. His book, “The Wild Bunch: Sam Peckinpah, a Revolution in Hollywood, and the Making of a Legendary Film” was released in February. The film changed forever how violence was portrayed in movies, he said. Up until that point, Hollywood-style gun fights were exaggerated and unrealistic. Known for its violence, Stratton noted that “The Wild Bunch” was made during a violent era in the U.S. It was an era when Martin Luther King Jr. was assassinated, Robert F. Kennedy was later killed and the Vietnam War was going on. “One of the things that Peckinpah wanted to do,” Stratton said, “was to show what violence is really like” — hoping it would help to put an end to it. Starting at 5:30 p.m., Stratton will spend about an hour discussing “The Wild Bunch,” talking about his new book, answering questions from the audience and signing book copies, which will be for sale at the screening. He will then introduce the film, and screening starts at 6:30 p.m. Conceived by a stuntman, with a blacklisted director, and shot in the Mexican desert, the film became an instant classic, according to publicists. In his book, Stratton documents the contribution of Mexican and Mexican-American actors and crew members that helped make the film successful. The movie stars actors William Holden, Ernest Borgnine, Edmond O’Brien and Robert Ryan. Aaron Cance, owner of the The Printed Garden bookstore in Sandy, initiated the film screening and W K. Stratton author event after discovering on a publishers’ forum that Stratton was touring to promote his new book. The event is also supported by the Moab to Monument Valley Film Commission and Back of Beyond Books. When: Wednesday, April 3; Doors open 5:30 p.m. and the film starts at 6:30 p.m.